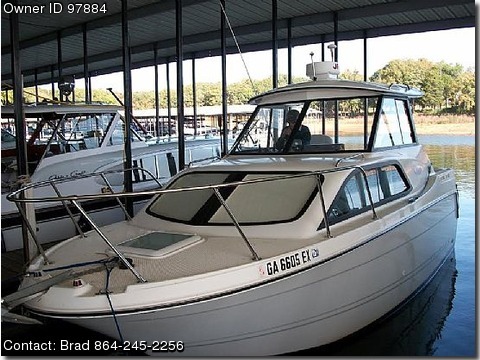 Please contact boat owner Brad at 864-245-2256. I&#39;m helping a friend sell this boat. He bought it new just before some health problems developed. The boat has been in fresh water all but the first two years he owned it. It&#39;s been used only a few hours every couple months. It has 168 hours, that&#39;s all, It&#39;s never even been slept in. Right now it&#39;s in the water in a covered slip and can be test drove any time. You wont find a boat like this one easily, It&#39;s in great shape.